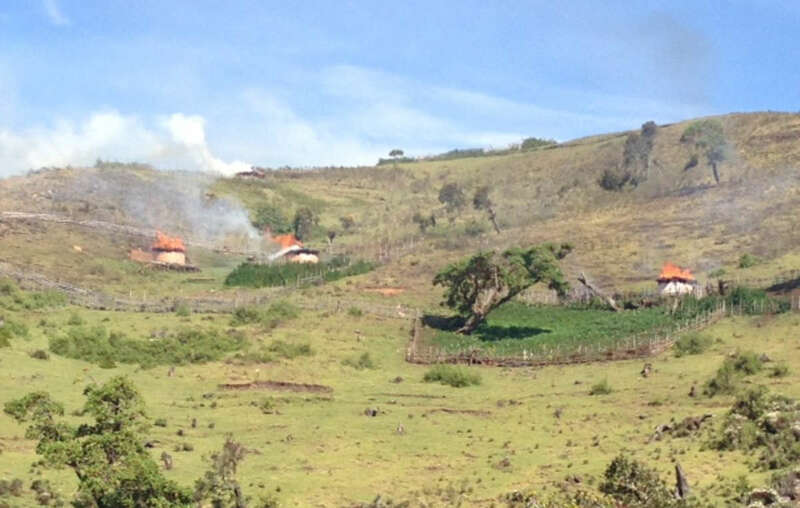 Homes of the Sengwer tribe in Kenya&apos;s Cherangany Hills torched by forest guards, January 2014. A Kenyan government campaign against one of the few hunter-gatherer tribes left in east Africa has escalated, as evictions spread throughout their ancestral home. The Sengwer have cared for the Cherangany Hills of western Kenya for centuries, but the government is forcing them from their homes in the name of safeguarding urban water supplies and protecting the forest. In the Embobut forest in the Cherangany Hills, as many as a thousand homes have already been torched, together with blankets, food stores, cooking utensils and school materials. Evictions are now planned for the rest of the Cherangany Hills. This means that the tens of thousands of Sengwer who are indigenous to the hills will be expelled from their homes. The government is violating international human rights agreements, and the country’s own constitution and court rulings. A High Court judge ordered last week that anyone defying court rulings against the evictions should be arrested, but the police then moved in to assist the Kenyan Forest Service with the evictions. 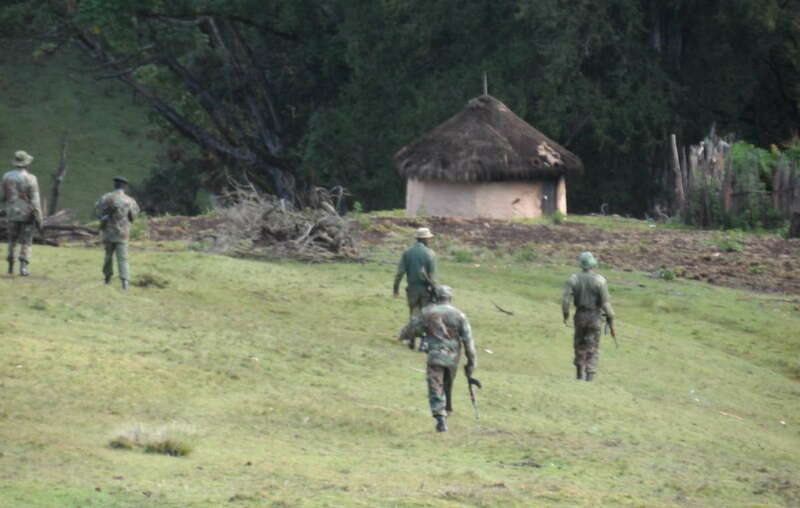 The Kenyan Forest Service is a forest guard unit funded by the World Bank and the Finnish Government, and had been torching Sengwer homes for ten days. Forest guards arrive in Kenya&apos;s Embobut Forest in preparation for the evictions, January 2014. To justify its behavior, the government has described the Sengwer as ‘squatters’ who have accepted money to relocate. In fact, very few Sengwer were offered compensation, and even these did not agree to leave. The Sengwer are calling for their case to be handled lawfully by the Kenyan National Land Commission and, together with the Forest Peoples Programme continue their international appeal.